Hello, good morning, good evening. This is a very different post for me, but I'm branching out and trying new things with this blog. I'm also trying to get a bit more creative on the new iMac, so my blog is the perfect guinea pig for my creations (if you can even call them that!). 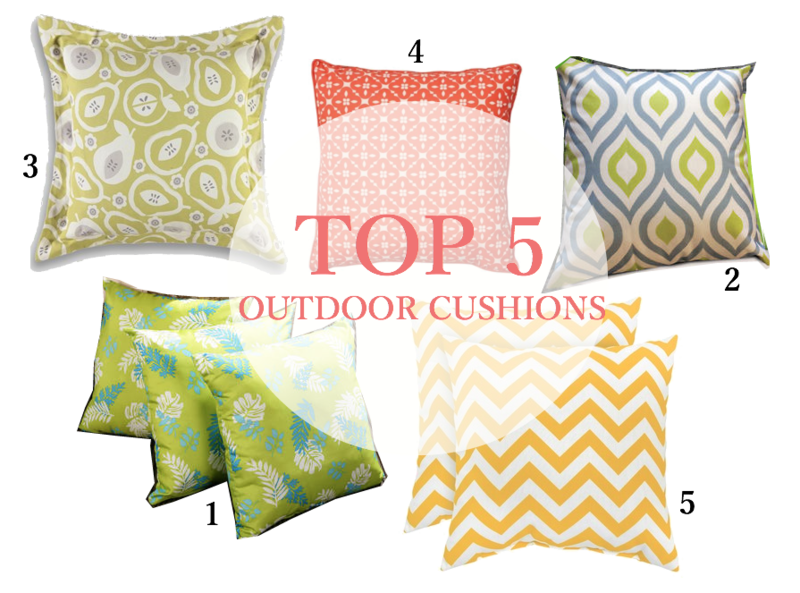 I have recently been on a mission to find some reasonably priced outdoor cushions. Why, you ask? Weell.. I have some exciting outdoor seating creations coming this way very soon.. But to complete the 'look' I was after, I required cushions! I was also in need of some inspiration for a sort of 'theme' for said garden seating. With this selection of cushions, I think I have finally found what I'm after! I love them! ALL OF THEM. Unfortunately I can't really justify spending £80 on eight cushions. Although at £10 a cushion that isn't too bad. Or maybe I'm just trying to justify reasons for purchasing them? Ah, if only. I do however intend on purchasing three of these cushions. I'm thinking number 4, number 5 and potentially number 2. Or maybe 3. Ah, the decisions! Looking at outdoor cushions makes me so excitement for summer and I think these cushions have a perfect summer vibe to them. I can already imagine myself cozying up on them beneath the warm toasty sunshine with a glass or two of bitter-sweet Margaritas. Ah, that would be the life. Your blog is the perfect guinea pig for your creations!! Thanks for post.